Malaysia has some really, and I mean REALLY, amazing bands. 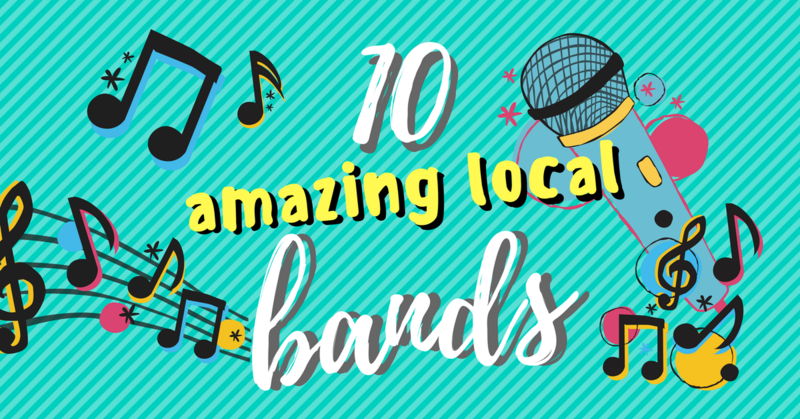 And as someone who frequents open mics shows and loves to try new bars with gigs, I’ve come across some great local talents, whilst also hearing about others that I’ve missed. TMJB is one of the first few bands I fell in love with when Merdekarya was my second home. The entire band has got to be one of the craziest people I’ve ever met and yet they’ve always been also one of the nicest. Their music ranges from… well honestly they play everything; jazz, blues, rock, reggae, pop and even R&B, which gives them the versatility to perform at any event and cater to whatever song your crowd likes. They’re the winners of aforadio’s Undiscovered 2015 and finalists for TuneTalk’s Rocktheworld 2015, Live House’s Rock the House 2016, and Tiger’s Tiger Jams 2016. They’ve also performed for Dato Siti Nurhaliza and has worked with multinational companies such as BMW, Redbull, AirBnB, Shell and others. Drawing inspiration from all styles of music, TMJB consists of Maha Jeffery (Vocals, Guitar), Prasad Shankar (Lead Guitar), Keith Noel (Bass), Shaun Chen (Keys, Vocals), and Isaac Miranda (Drums). Do you know that moment when you listen to music you don’t even know but your head just naturally bops back and forth? That’s what happens every time Ryöt Jones is on; they just bring the one of the most energetic stage performances to every one of their gig. The band has gained rave reviews from establishments like LiveHouse KL, Waikiki PJ and Arte Bar. Ryöt Jones is an 8 piece funk/soul band from Kuala Lumpur and consists of Deo Karmawan (guitars), Lim Chu Hang (bass), Eddie Askari (keys), Clifford Tan (saxophone), Jazmi Jamaluddin (saxophone), Payung (trumpet), Aaron Gideon (drums) and Kyren Thomas (vocals). Enterprise consists of Ismail Ibrahim (Bass Guitar, Keyboards, Programming, Vocals), Nazree Ibrahim (Drums, Vocals), Hanafi Ismail (Guitar, Backing Vocals), and Tariq Mamyudi (Percussion, Samples Pads) and hails from Subang Jaya! They remind me a little of Fool’s Gold, Last Dinosaurs, The Roots, Chic, Curtis Mayfield and more, making their music extremely addictive to listen to. SOAP is based in Subang Jaya and possess a wide array of individuals with different musical backgrounds which lends a hand to their unique sound. They’ve won several awards such as being the Champions at the Battle & Win Contest by Tune Studios in 2014, Top 3 at TigerJams by Tiger Beer in 2016 and more. SOAP consists of Axl Grey (Lead Guitar), Zijunn Tan (Bass, Vocals), Mikha Chan (Rhythm Guitar, Vocals), JJ Michaels (Drums), Jee Yann (Keyboards,Vocals), Josh Ganesan (Lead Vocals). Jumero made their debut back in Urbanscapes 2012 after being the champion of The Star R.AGE open-mic competition. Since then, they’ve played in various gigs such as the recent ICSF KOREA 2015, Guinness Amplify 2014 and many more. Their music is influenced by artists such as John Mayer, Jack Johnson, John Butler Trio, and to some of us, he also reminds us a little of Incubus and James Morrison. The trio harmonizes gracefully through their original and cover songs. AMOURA was formed in January 2012 and has garnered a lot of fame from Malaysians having performed in many shows throughout Malaysia. They also perform in venues such as The Bee and Laundry Bar, and have also garnered a strong following of their own. They’ve also launched their first EP and it’s now available on Spotify for all interested! This Malaysian-Korean alternative rock band consists of Carolyn Park (Vocals), Adrian Lim (Lead Guitar), Wesley Wong (Bass), Maskurnia Sayuti (Rhythm Guitar) and Jo-Vi Pan (Drums). Basement Syndicate has got to be one of the few bands I stumbled upon whilst going to gigs for bands I’ve never heard of. I immediately took out my phone to find out who they were and where could I find their music. They definitely have a unique sound that many have perceived as “smooth grooves, soul, jazz and hip-hop,” with some rock, funk, and R&B mixed in. Syndicate came from the Greek word ‘syndikos’ which means “public advocate – caretaker of an issue” and their debut album “Morning”, an innovative cross-stylistic/cultural band is indeed taking care of issues, and advocating some brilliant fresh take on Malaysian music. Bassment Syndicate consists of Omar Ibrahim (Drums), Hiran Benton (Keyboards) and Idris ‘FOOK’ Koh (Bass). Thank you @bandwagonapp for having us at your event last Friday. A special thank you to @thisappear_plus for making us look amazing for the show. As always, the music appreciators in Singapore always leave us feeling warm on the inside. Singapore, your support is amazing! Till next time! The Impatient Sisters have gained a ton of following in Malaysia by having a long repertoire of past shows which includes being the opening act for The Jezabels and for Dia Frampton in The Bee, Publika in 2012 and 2013 respectively. They gave also performed in festivals such as Urbanscapes in 2012 and Kakiseni in 2013, and for multiple launch parties such as for Fred Perry, Hanger Magazine, and Blackberry. What more, they’ve won awards for ‘Best New Find’ in Juice Magazine in 2011 and ‘Artist of the Week’ for MTV Iggy in 2013. The not-so-typical girl bang writes and sings expressive tunes with bouts of romance and depth, blending quirky soul and folk-pop. The three sisters, consisting of Soraya, Nazeera and Irena Taib, are from Kuantan, and are addicted to making good music and pleasing fans. The Endleaves is a punk blues rock band who are often likened to the Foo Fighters and Oasis and is also heavily influenced by tunes from the 90s; all about the wailing vocals, screaming guitars, groovy bass lines and thumping drums. They were formed in April 2013 and gigged extensively throughout that year such as for Fete de la Musique, Tres Fest, the Island Music Festival, Indie PG, Rockafellas and so forth. Their debut album was released on January 31st 2014 as they continued playing gigs in other countries such as in the US, Australia and Japan and built an international following. In early 2016, the band went by #CherryRock with different set of members, playing “them gigs the main lineup cannot make due to prior engagements” LOL. The Cherry EP was released on Thanksgiving 2016. The Endleaves generally consist of frontman Shaneil Devaser (Lead Vocals, Guitars), Riz Rashid (Guitars, Vocals), Jeremiah Abraham (Bass) and Harvey Chamberlain (Drums). Whilst #CherryRock consisted of Devaser, Cheryl Yesudas (Bass, Vocals) and Jerry Lim (Drums, etc). Also, The Endleaves occasionally has their past member Kristopher “Krispy” Chong on bass. Last but not least, An Honest Mistake is probably one the most well-known Malaysian band out there and has the biggest Facebook following as compared to the others on the list. They debuted in 2008 and its frontman has seen a number of personal changes of the band ever since its birth, whilst still keeping their catchy tunes. The band has toured in Thailand, Singapore, Indonesia and the Philippines, and have shared stage with international acts such as Boys Like Girls, Motion City Soundtrack, Against The Current and more. They’ve won awards such as the Silver Award for Best Music Video (VIMA 2014) and Best College Act (VIMA 2010). They’ve also been #1 on Hitz.fm’s MET10 for various songs of theirs. Their tunes are multi-faceted and range from summery easycore to emotional ballads, and they even have a couple of pulse-pounsing screamo songs. They’re continuously making new material, ensuring that they’re able to reflect their ability to go between pure rock, relaxing acoustic music and heavy rock. An Honest Mistake is headed by organizer, lecturer and musician Darren Teh (Lead Vocals, Guitar), alongside Leonard Chua (Electric Guitar), Tomas Tam (Bass) and Ian Ng (Drums). There are many epic local bands out there that I’ve probably missed too. So please suggest them in the comments!